The European Cup for Amateurs, commonly known as the Prix de Saint-Claude, will take place this Saturday at the Vincennes Racetrack in Paris. Since last year, the French Trotting Association has taken it upon itself to invite drivers from countries forming part of the European Trotting Union to race in the European Cup. 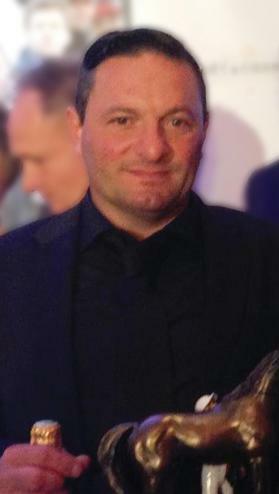 This year, the Maltese repre-sentative will be David Ellul, the Malta Racing Club (MRC) said in a statement. The 47-year-old finished in eighth place in the general drivers’ classification last season. Ellul won four races in all, including the VOB final with trotter Palazio Valterne. The Prix de Saint-Claude, the eighth event on the card, will be an autostart race over 2,100 metres. The race has a total prize-fund of €16,000. Trotters aged seven to nine, that have not won more than €184,000, are eligible to take part. The draws to assign the horses to the participating drivers will be conducted today. In France, Ellul will be accom-panied by Anthony Demanuele, the MRC general secretary. During his stay in France, Demanuele will attend the Euro-pean Trotting Union meeting on Saturday. The MRC official will also present a token to the winner of Prix de la Valette in Paris.